Merry Christmas! Below you can see my 2018 Christmas card and view my 2018 Christmas letter as well! What a fun 2018 it has been. I have gotten to do quite a few amazing things that I did not think I would be able to do. First off, 2018 featured me being filmed by TV crews. We spent the summer filming a lot of stuff for a future TV show that will air in early 2019. Yes, being on national television will open a lot of doors for me. And I wish I could tell you what the TV show is all about. But I can’t. For now, I can’t tell you what the show is about, what the name of the show is, or what network it will air on. All I can say is keep reading Geek Alabama for updates. But filming a TV show was not the only big thing I did 2018. I got the cover quite a few amazing events with wonderful photos and videos. I also got to review more products and media stuff. I got to meet more amazing people. And I got to talk about quite a few amazing things going on across Alabama, Georgia, and the Southeast. 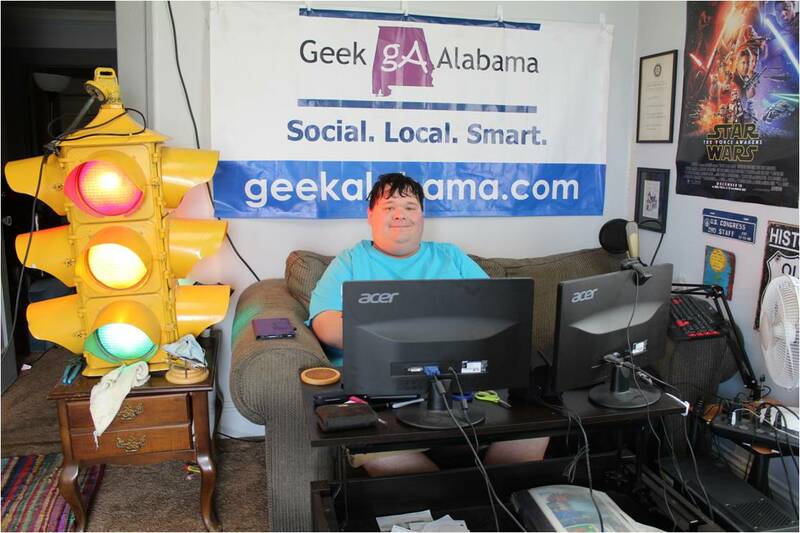 That’s the mission of the Geek Alabama website. And this Christmas season, I got to cover more Christmas attractions and events. I also got to volunteer, and cover amazing stories like giving away bicycles to kids who can’t afford them this Christmas season. 2018 is a pretty good year, and I think 2019 is going to rock the socks off! I mean, getting millions of more people noticing what you do is going to be amazing! You can be sure that I will be taking advantage of the great opportunities that will come my way in the first part of 2019! I already have many more people that that now know what I do online. Add a ton more people that find out what I do online, and it’s going to be H-E Double Hockey Sticks amazing! (Hope you got that reference) So I invite you to keep reading Geek Alabama. So for me, Merry Christmas! Happy New Year! And thank you for reading Geek Alabama!